Whether you can pronounce this French-inspired burger or not, here's what you need to know. 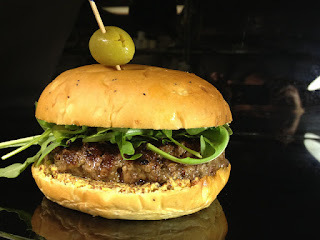 Our gourmet half pound burger is topped with cracked pepper, dijon mustard and arugula. Wash it down with one of our tasty beer selections.